We are looking at reasons why to plant churches. In this age of new ideas, and gimmicks many are trying different things to propagate the Gospel. With all our ideas and creativity we will never improve on the plan that God has, and God’s plan is the planting of churches. So let’s look at a few more reasons to start churches. God has called us into a community. framed and placed together by the Holy Spirit (Ephesians 2:21), we are compared to a body with each person as a member of the body (Romans 12:4-5, I Corinthians 12:12-24). The church is a place for each member to exercise his gifts to the Spiritual edification of others. Also it is not only a place for one to exercise his gifts to be a blessing to others but it is also a place where one can come and be blessed by others (Hebrews 10:24-25). 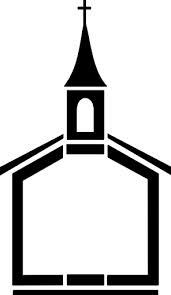 A church is a place of established leadership and authority. According to Hebrews 13:17 we are to obey them that have the rule over us. Where would this take place other than a church, for it says “they watch for your souls,” so with that thought he is not speaking of civil authorities, but spiritual. This is the idea of a Pastor, Elder, and Bishop and all are offices of a church meant for the oversight and leadership of the local assembly. A church is a place to be trained and equipped for the ministry. Ephesians 4: 11-12 says that God has given us gifts, these gifts are men who have various positions and callings in the church. These men are meant to equip the the believers for the work of the ministry. Where can believers be trained and receive on-going training, the answer is the Church. The church is a place of accountability. The church in Matthew 18:15-17 is given instructions on handling Christian brothers who have had a fallen out. This is a Church matter, and is to be dealt with by the church. Not an organization but a church. Throughout the Scriptures there are other admonitions we find of accountability, encouragement, & motivating each other. We can we do this during our assembly as a church.